Home / Wink'redible You! / The Host with the Most… Is the Bingo Chat Host! The Host with the Most… Is the Bingo Chat Host! If you have come this far, you will know that bingo is a fun and sociable game that relies upon groups of people. No gathering would be complete without a good host. Bingo gatherings are no exception! Most websites and virtual offerings are based on events and items that first existed in the ‘real’ world. In traditional bingo halls people from all over get together for a fun and interactive night out. But it is not just the crowd that contributes to the supercharged atmosphere in a bingo hall. The bingo host also has an important role to play! The bingo host is almost like a master of ceremonies. He or she sets the tone of the game and delicately moderates play, making sure that everything runs smoothly. In national bingo games, where bingo halls are linked, the host is also responsible for representing a specific bingo club or locale. A successful bingo host is a performer, a manager and a people’s person rolled into one. Those who were around in the 80’s, may remember the BBC1 television show called ‘Bob’s Full House’. Bob’s Full House was based on bingo and you could say that the show’s presenter, Bob Monkhouse, was the quintessential bingo host. Bingo revolves around gatherings of people. In bingo halls, the bingo host plays a critical role. A bingo host must moderate the game, entertain and makes sure everything run smoothly. Online bingo games need hosts and moderators, in the same way that traditional bingo halls do. In online bingo you could say that the chat room has replaced the bingo hall. The chat room is where you get to claim your winnings as well as interact with other players. Your chat room host will make announcements, inform you about promotions, host chat games, answer questions and moderate. In bingo chat rooms, people often use abbreviations to make typing easier, so your chat host might also be referred to as a CH (Chat Host) or CM (Chat Moderator). In virtual bingo, chat hosts are sometimes taken for granted because they cannot be seen. 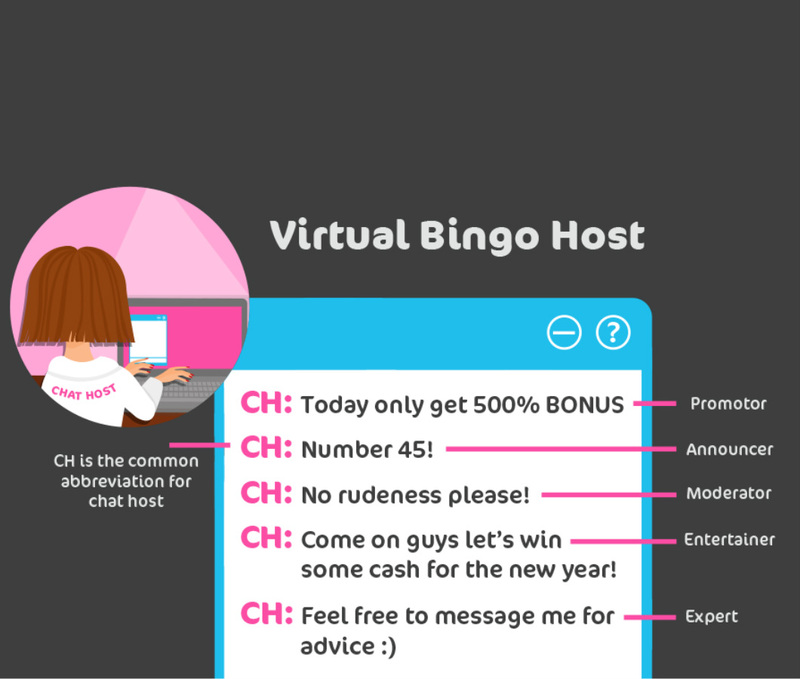 However, for many online bingo players, the chat host can make a valuable difference between a good bingo site and a bad one! For the most part, online bingo chat hosts do not get paid, but some sites will pay a modest salary. 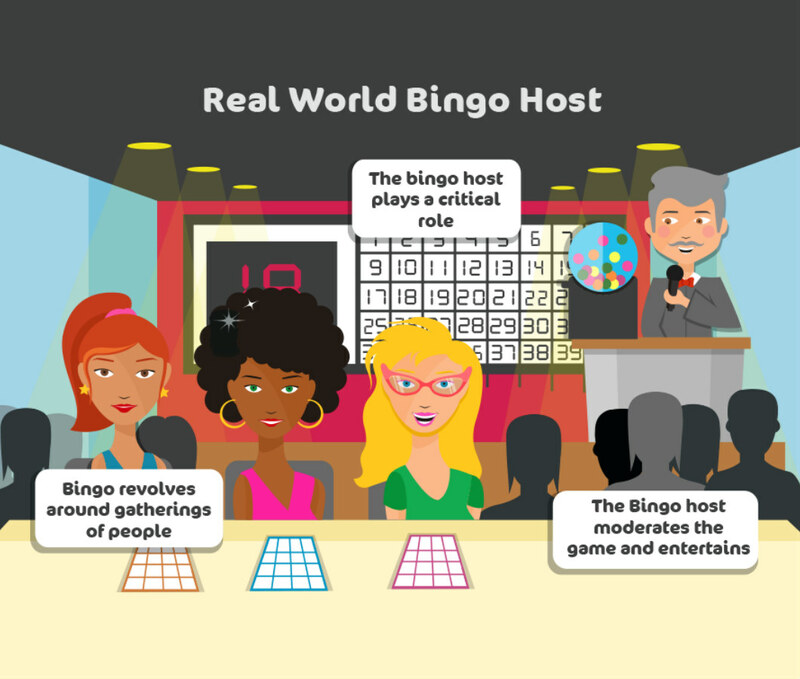 Chat hosts usually take the job because they are bingo enthusiasts who love the game. Some websites reward their hosts by offering them free cash bonuses and other goodies. As well as wearing different hats, bingo chat hosts must possess certain skills and qualities. For example, a chat host should be a team player with a positive attitude. He/she needs to find the perfect balance between creating a fun environment and yet be professional at the same time. It also helps to understand the concept of customer service because the chat host must be able to provide help and assistance when necessary. Like any good customer service provider, the chat host must be able to empathize with the players as well as know all the ins and outs of the company in case any complicated questions arise. He/she should also be somewhat tech savvy, a speedy typist and a quick thinker, plus they should be available to work flexible hours… Last but not least, an understanding of bingo is a MUST! An impressive CV always helps, but the best way to spot a great bingo host is by entering a bingo hall or online bingo chat room… If all the players are having a giggle and making friends, you know that the bingo host is a hit!